As an expat based in India for the most part of last decade, I have narrowed down on ways to effectively use miles to enjoy luxury vacations from the subcontinent without breaking the bank. Despite the fact that there is no Oneworld partner airline based in India, I am still loyal to American Airlines frequent flyer program, solely on the value of their award chart from where I live. This might come as a surprise to some, given the diversity of frequent flyer programs out there, but stick with me. There are some really great values when looking out at the AAdvantage world from the Indian Subcontinent. The Etihad Apartment is the most spacious first class cabin bookable with American AAdvantage Miles. American Airlines’ AAdvantage program is my favorite and go to frequent flier program when it comes to award travel. Its partner award chart offers fantastic value in both Coach and Premium cabin travels, particularly when used with top-notch partners like Cathay Pacific, Etihad Airways and Qatar. The Indian Subcontinent partner award chart offers some of my favorite values in the whole system. Considering Europe is about seven to eight hours from India’s major cities, the rates from India to Europe are remarkable. Finnair has installed great business class seats and is renowned for onboard service (and its lounge sauna in Helsinki). Image by Finnair. It’s also possible to secure these rates on British Airways, although that airline will add a heft additional fare to your mileage award. Another incredible value is flying to Asia on incredible carriers like Cathay Pacific and Japan Airlines. The prices using AAdvantage are so good it’s hard not to fly first. 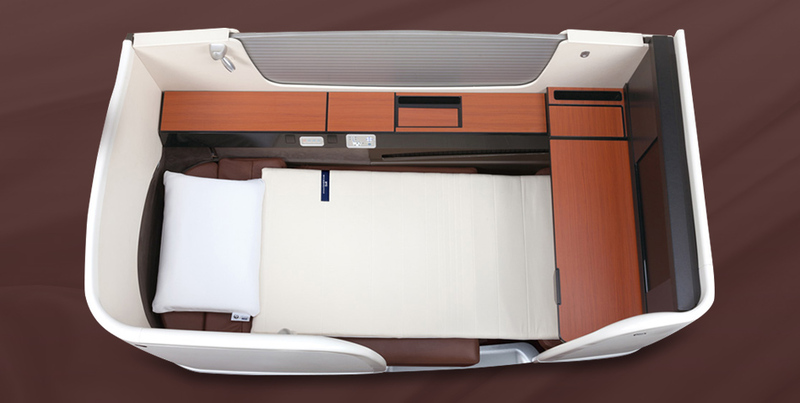 Japan Airlines first class seats aren’t fully enclosed like on Etihad, but service is among the best in the world. Qatar’s QSuite business class looks more like first class and prices out at bargain rates between India and the Middle East. Image by Qatar Airways. American makes other exemptions for Cathay Pacific via Hong Kong, as well. It’s also possible to fly Qatar Airways from the U.S. to Africa via Doha, or to connect in Hong Kong to get to East Asian destinations. Many of the partners I use in Asia and the Middle East do not appear on the American Airlines website in searching for mileage awards. Instead, British Airways website shows just about every Oneworld partner eligible to book using American. Award seats on Etihad can be searched directly on its website. You’ll need to have a British Airways Executive Club account to search for flights using its website, but those can be created online for free. Qantas Frequent Flyer is another great database to search for Oneworld flights. The best way to book these awards is to call American Airlines AAdvantage call center at 800-882-8880. AAdvantage allows a generous five-day hold for bookings made at least 14 days prior to departure and a standard 24-hour hold for last-minute departures. AAdvantage charges a $75 fee for bookings made within 21 days of departure. Date changes are complimentary within 1 year of ticket issue date. A redeposit fee of $150 is charged in case of cancellation. While American’s rewards chart is fantastic for someone living in India (or traveling onward from India), earning miles here can be a bit more tricky. Living in India, I sorely miss American’s late partnership with Jet Airways, as when flying domestically I really don’t have any way to credit my travel to my frequent flyer program. Most Oneworld airlines operate flights out of India with British Airways, Qatar, and Cathay Pacific being the most popular ones. You can credit paid flights on those carriers to the AAdvantage program. Since most of my flying is long-haul, I manage to stick to Oneworld partners and at the end of the day don’t miss out on too many AAdvantage miles. The Citi® / AAdvantage® Platinum Select® World Elite™ Mastercard®can be an excellent way of hoarding AAdvantage miles, Mastercard is widely accepted in India and this card does not have any foreign transaction fees. The AAdvantage program has regular promotions where they sell miles for around $0.017. You can buy up to 150,000 miles per account per year. Without any immediate partners on the Indian Subcontinent, American AAdvantage is often overlooked as an award travel option. But given the availability, award prices and airline products one has available in this region AAdvantage is actually my favorite choice for award travel. Due to an editing error, a previous version of this post incorrectly listed Iberia as a redemption option in India. Iberia has terminated its Madrid to Mumbai service. While true, the photo you have included is of the residence, not a normal apartment. Maybe worth clarifying. What airline miles are the best to use from getting to US to India in First Class? Thanks! Unlike the authors love for the AA awards program, I have a different perspective on their awards practices, especially when trying to book “on line” to travel overseas. In the interest of full disclosure, I am closing in on becoming a 4 million miler on AA and am a Platinum for life (as long as that program continues) and have 300K in my account. I tried to book 2 business class tickets (both anytime and miles saver) for an early October travel to India with a late November return. Must I say, my frustration level and my BP hit the roof. For one, business class seats at the 140K level/person were not available for the days of travel needed. Secondly travel on other dates involved either one or two airport transits within the US. Thirdly, segments within the US were in Economy. Fourthly, fights were on BA to London with a forced overnight stay in London (and transit through the worst of airports on earth, Heathrow). Fifthly, besides having to spend a night in London and pay out of my pocket for hotel/meals, they sock you with several hundred dollars worth of Carrier fee charges. This is all daylight robbery. . BTW, the online booking forces you hand, in that you are not given access to other OneWorld partners. It is AA or BA. I have flown, Etihad, QATAR and Emirates on my own nickel. I have called AA’ reservation desk to book on Etihad & Qatar and as expected, they cannot book me on the dates needed, Maybe, the author knows of a mechanism to crack this AA rip-off of their faithfuls. Waiting for a quick response!! You’re correct, and this is on me! I didn’t realize that Iberia had terminated its Mumbai service, and I added it to the list. Thanks for your keen eye. Any idea if there’s a resource to show which Qatar flights have the Qsuites? Do you need to argue with AA at all to make them book flights over the phone that don’t show up on the Internet search, or is the process pretty painless?